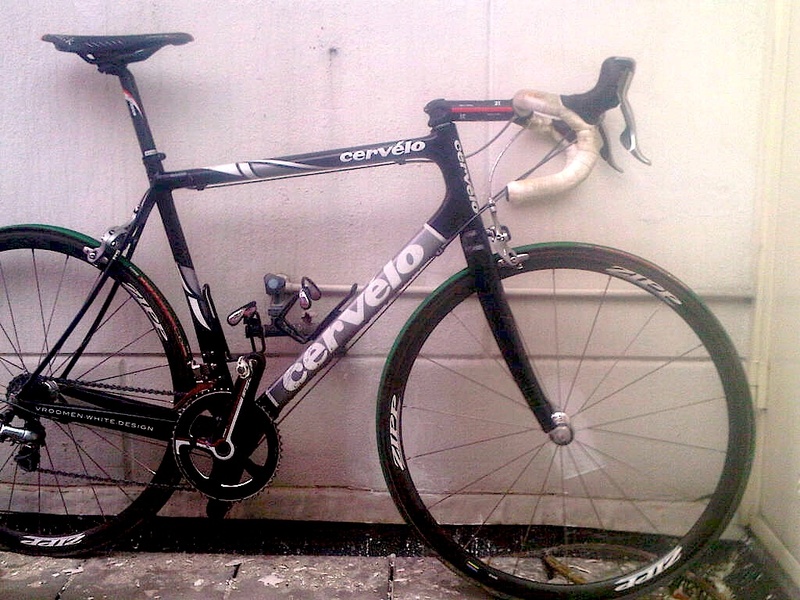 In 2009, the first year of the Cervelo TestTeam, Thor made Paris-Roubaix his main goal. Shaking off his sprinter image, he started dreaming of this race back at the winter training camp. He was right on track with his third place finish at Milan-SanRemo, and was again sprinting for third at the Tour of Flanders (in both cases behind Heinrich finishing second) when disaster struck. Instead of finishing third, he was taken down in the sprint and hurt his wrist and thumb. You can see the pretty funny post-race-beer-drinking-with-neck-brace scene here. Anyway, he went into Paris-Roubaix tentatively, but performed brilliantly despite not being able to use his left hand. He was leading the race with Tom Boonen until that faithful left turn at Carrefour de l’Arbre. That you can all see here. In the end, he finished 3rd. This is the bike he did it on, with a stock RS frame. As you can see, the shift lever is still crooked from his crash. 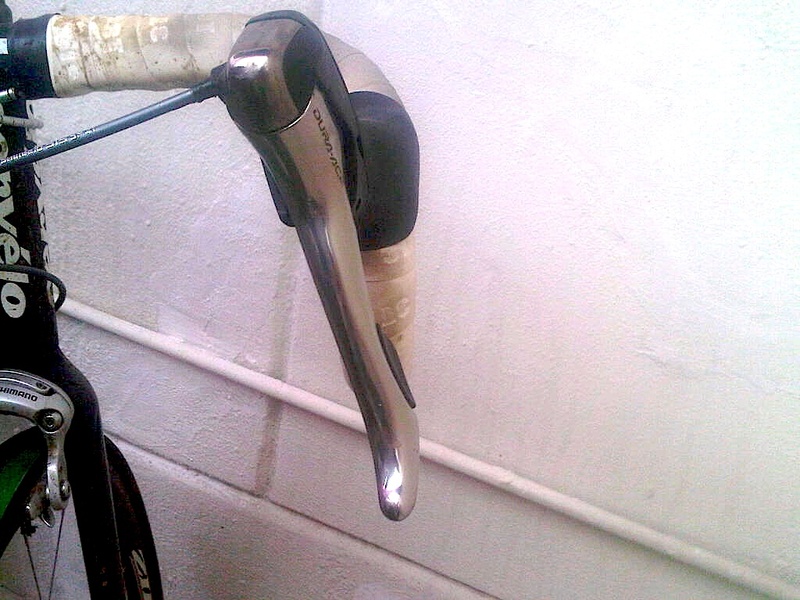 This entry was posted on	April 7, 2011 at 15:03	and is filed under bike equipment. Why stop producing RS after 2012? I don’t know, you’d have to ask Cervelo. I left in 2011. That’s why my latest Cervelos are 2012 S5 and RS. They feel like iPhone 4 to me.